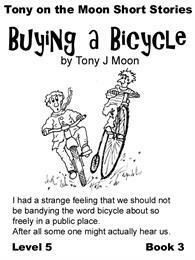 I had a strange feeling that we should not be bandying the word bicycle about so freely in a public place. The Bramly Apple and Custard is not our usual kind of drinking house, it had a thirty yard long bar, plastic tables and a Juke box. These are not the sort of things to endear me and Joe to any place.